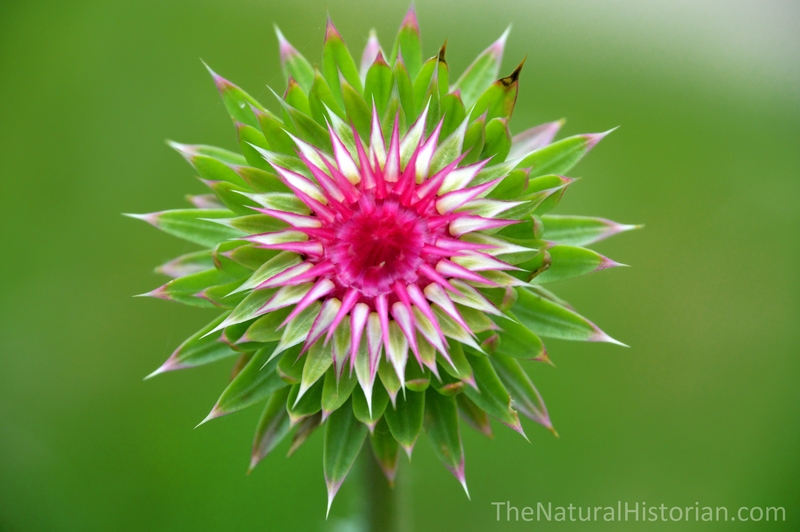 Thistles are the common name typically given to members of several genera of sunflowers. These plants are not often thought of fondly as they seem to have little use for humans and most of them would be referred to as weeds. 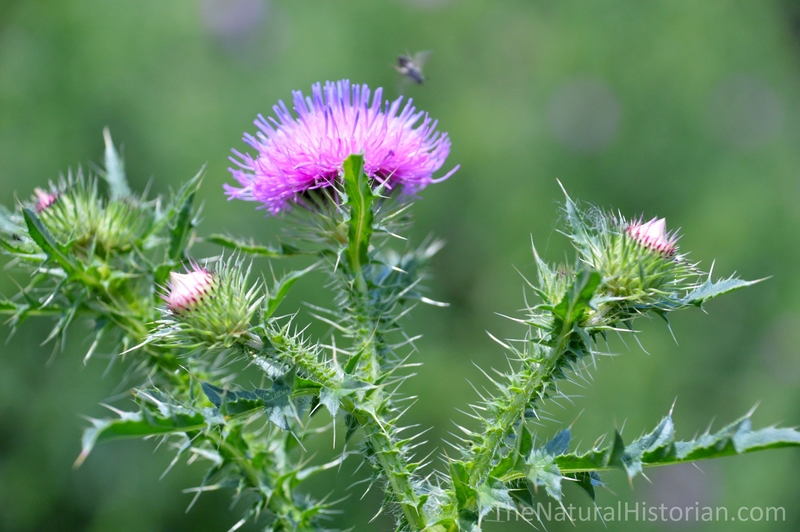 Most thistles plants are covered with prickles and even their flowers are protected by many sharp points. 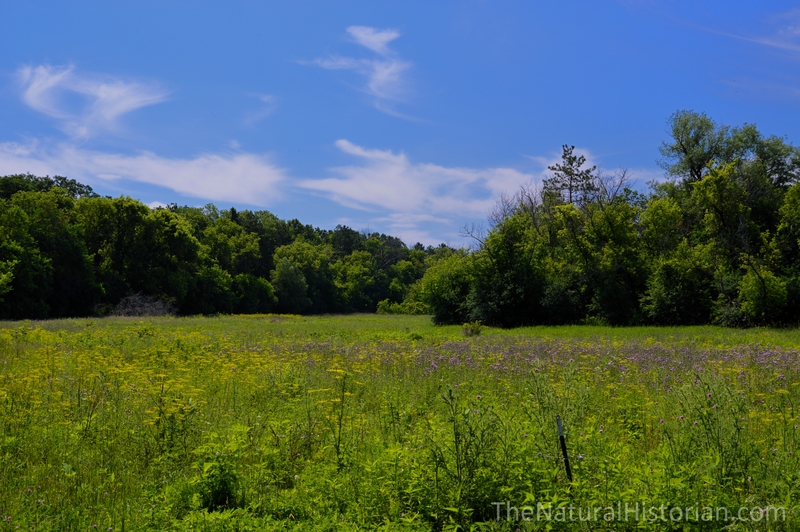 Recently I spent time on a farm in Wisconsin with a rather large infestation of several types of thistle plants. 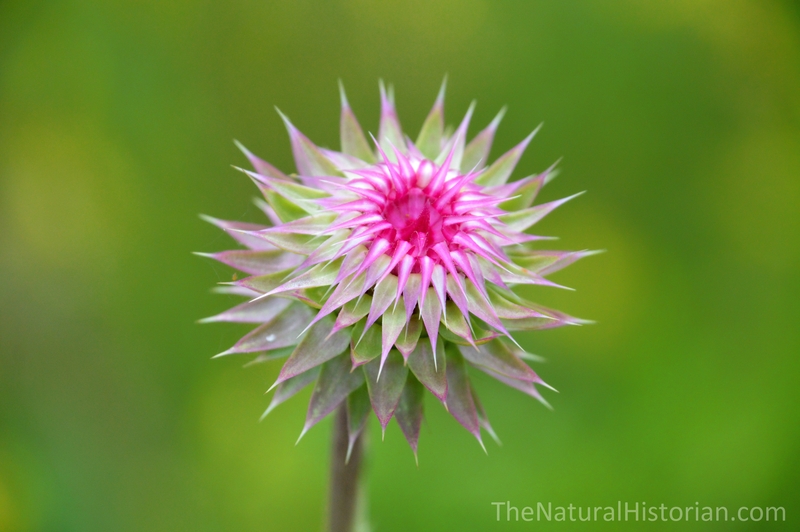 I found myself quite captivated by the biology and beauty of these frequently disparaged plants. I had an ulterior motive for looking closely at these plants. I have been working again on a presentation about the meaning of the phrase in Genesis 3:18 “thorns and thistles it shall bring forth for you” (ESV). 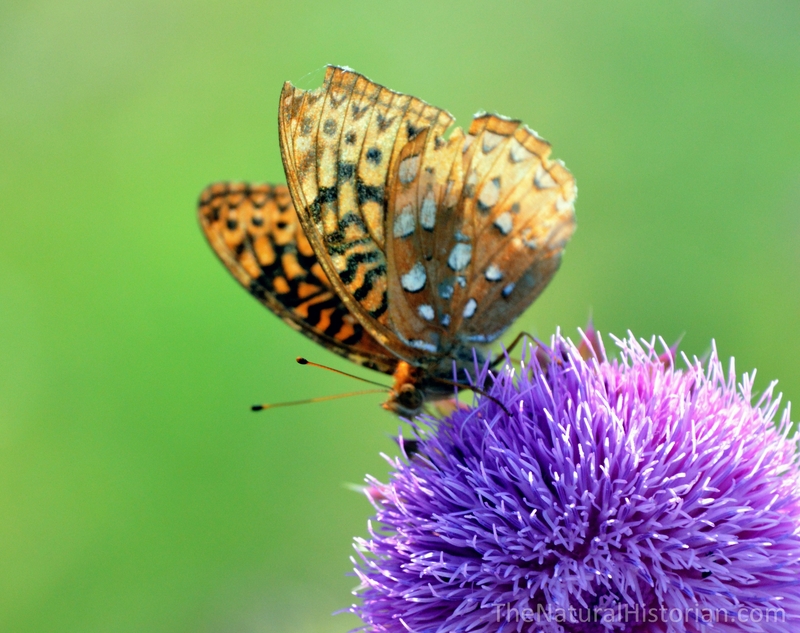 What does it mean that the ground brought forth thistles. Literal-day Young Earth Creationist’s take this to mean that thistles didn’t exist before Adam’s sin. How are thistles a “curse on the ground because of you (Adam)?” I have explored this question tangentially in the past (see: The Prelapsarian Acacia and the Good Creation: On the Origin of Thorns and Adam and the Fall: A Thorny Young Earth Assumption) but will be looking more directly at this question in the near future. 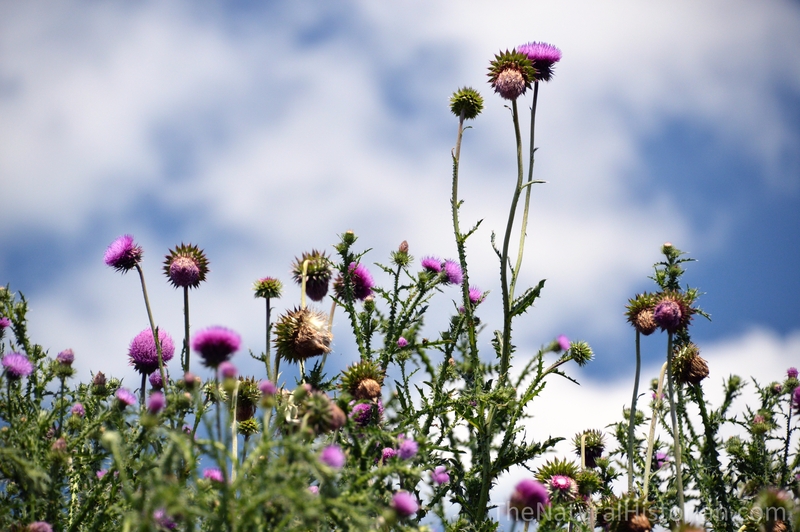 Until then I present to you several of my photographs of thistles along with a few notes on their natural history. Thistles may be the bane of many farmers but there is much beauty in all of God’s creation and I hope that you can see some of that below. The spectacular symmetry of the musk thistle is on full display in this flower just beginning to open. The musk thistle flower from the rear showing the symmetry of the bracts and the sharp spines at their tips. A thistle in full flower. As members of the sunflower family what you are looking at here is a head composed of hundreds of separate flowers jointly giving the appearance of being a single flower. 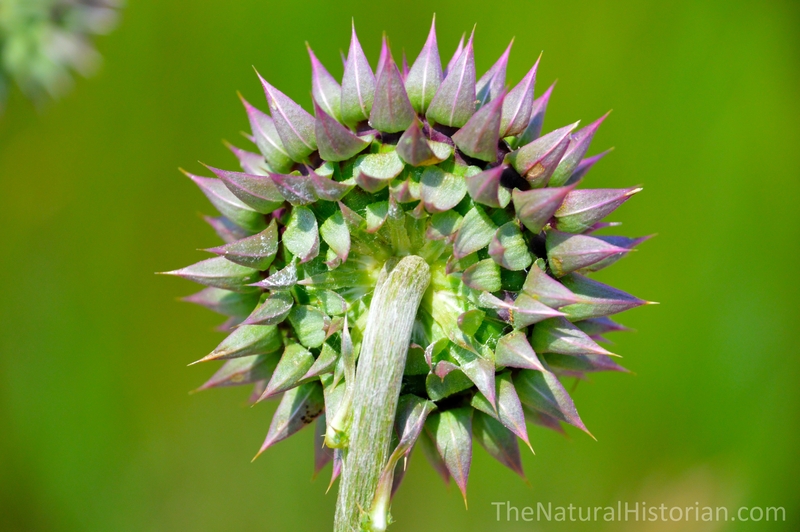 A musk thistle with developing seeds. Each flower in the flowering head will produce a seed with copious amounts of “fluff” which on maturity will help the seed float away to a new location where it can grow. A goldfinch making lunch of the seeds of a lark Musk thistle (Carduus nutans). 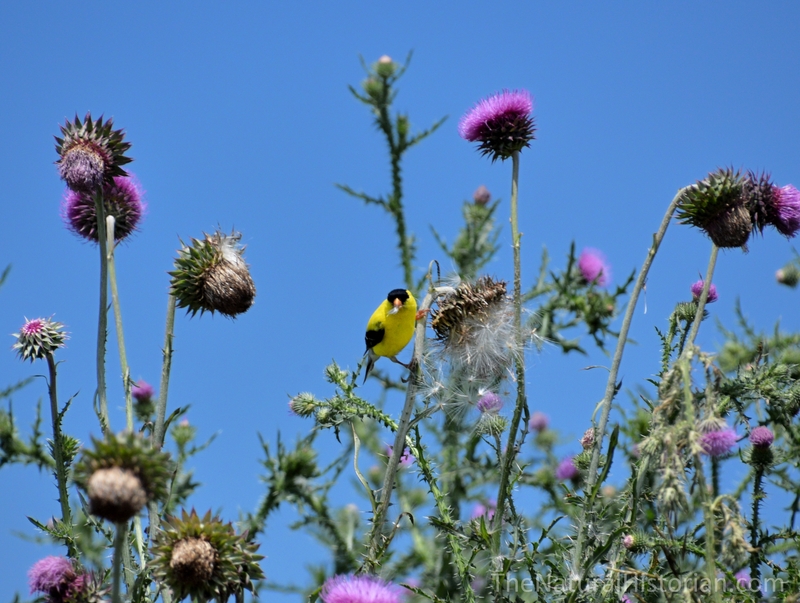 Goldfinches specialize in eating thistle fruits. 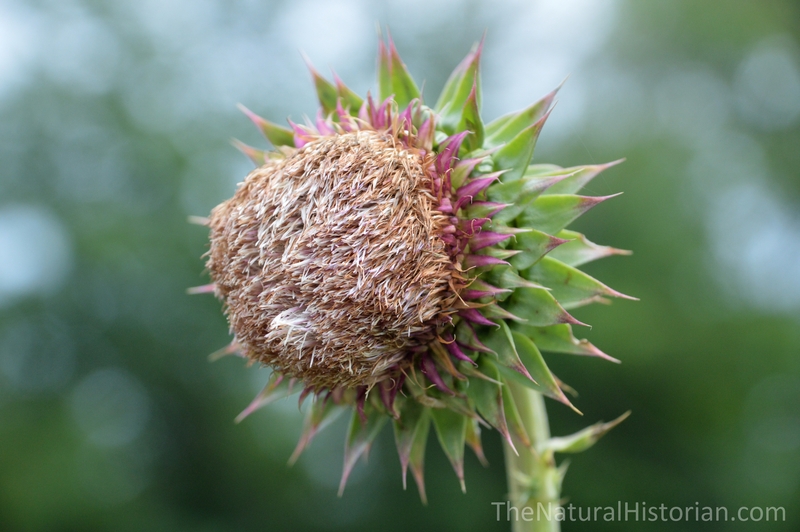 With several species of thistles in the area there are always some thistles in fruit for several month of the summer and then into the winter. There is little of this plant that is not covered in prickles. 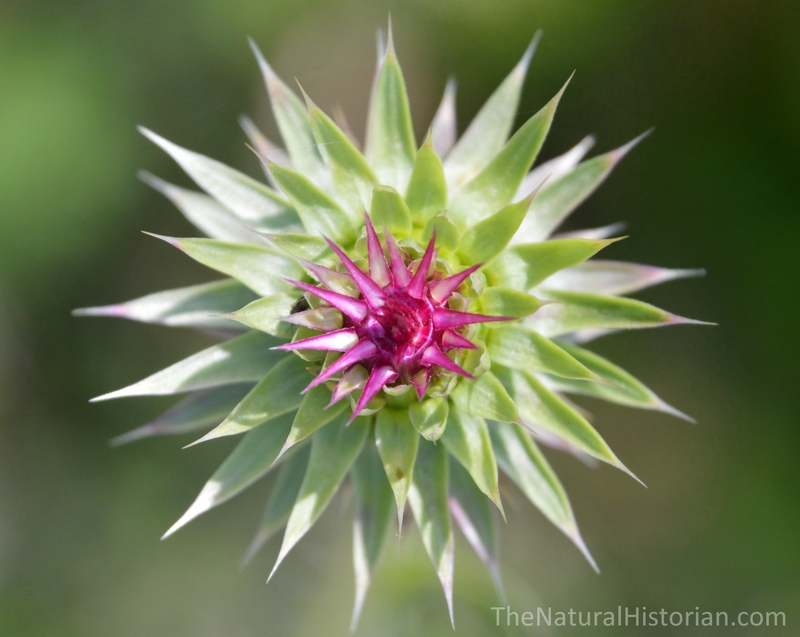 It is these prickles that give thistles their reputation. 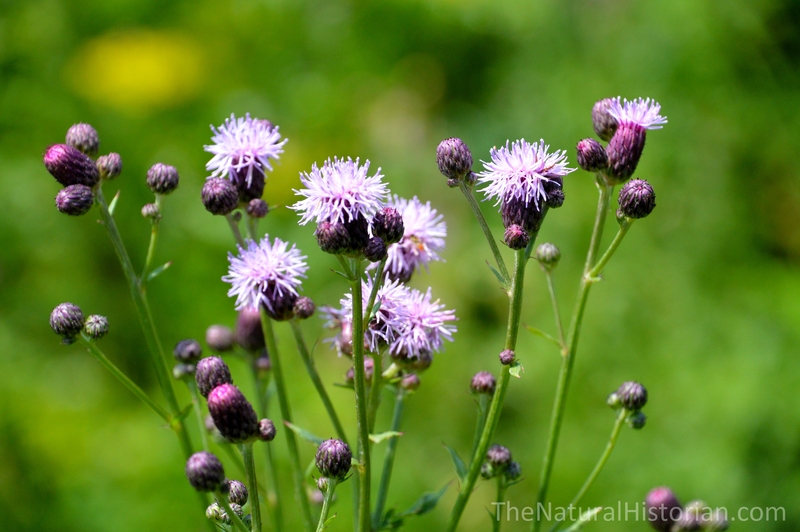 I believe the above is Canada thistle (Cirsium arvense). One of the back fields on my brother-in-law’s farm in Wisconsin. The light purple color are thistles. If the cows were grazed on this section you soon see only thistles and milkweeds. The former because of the prickles and the latter because of their toxic milky sap. There are also many members (the yellow flowers) of the carrot family. 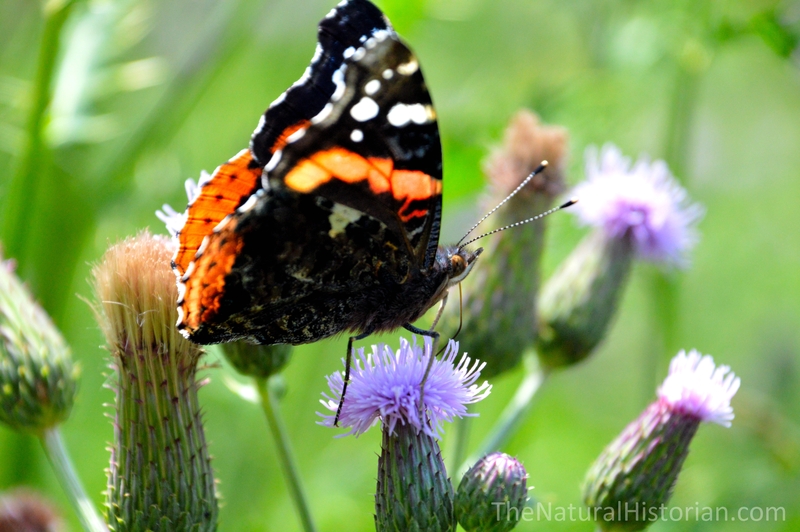 There are several species of butterflies that depend on thistles to complete there life cycle. Thistles also provide resource for many bee species. 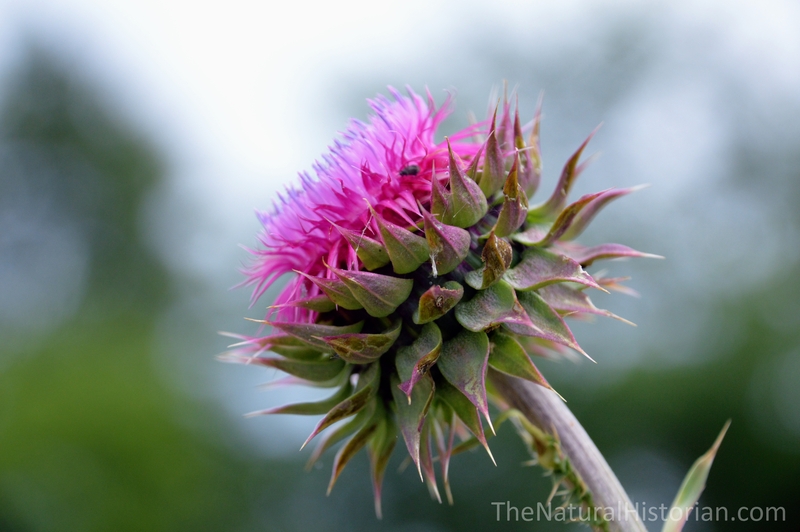 The flower above is not from the same group of plants commonly called thistles. This in an invasive plant from Europe that has become common in eastern North America. 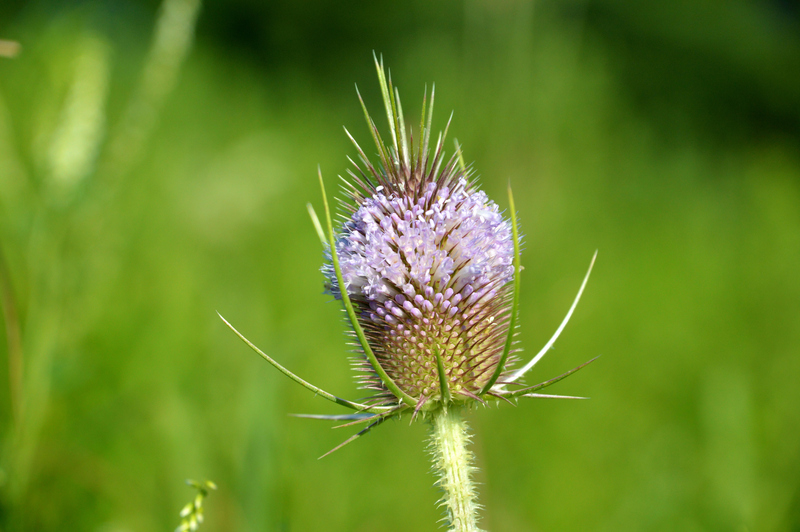 It is called Teasel and is a member of the Capriofoliaceae family which include plants such as the common honeysuckle. This plant lives in similar habitats as many thistles and obviously also is a very spiny plant. 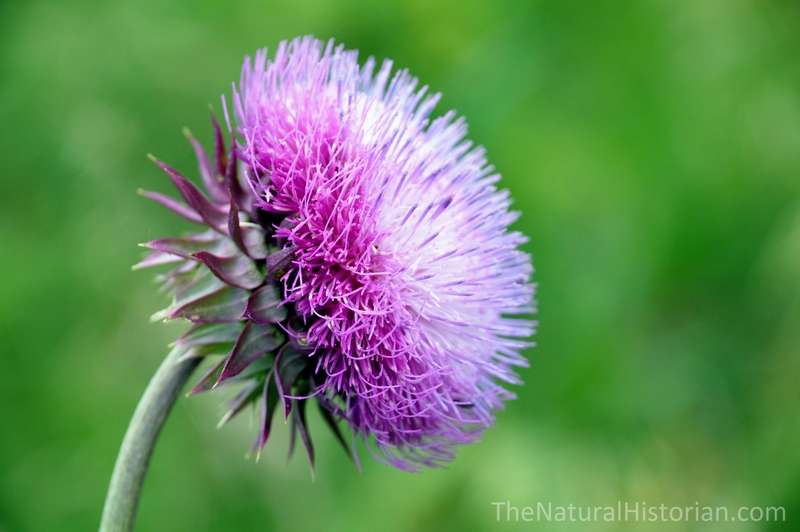 Artichokes and cardoons are types of thistle. Anybody who thinks they are a curse should get a life. I dont’ know off the top of my head if any are bred but there is an entire genus (Echinops) of blue colored thistles called globe thistles. It does seem likely that some species may be selected for horticulture. I am not sure but there is an entire genus (Echinops) which are blue. Its seems likely that some of them have been manipulated for horticulture purposes.